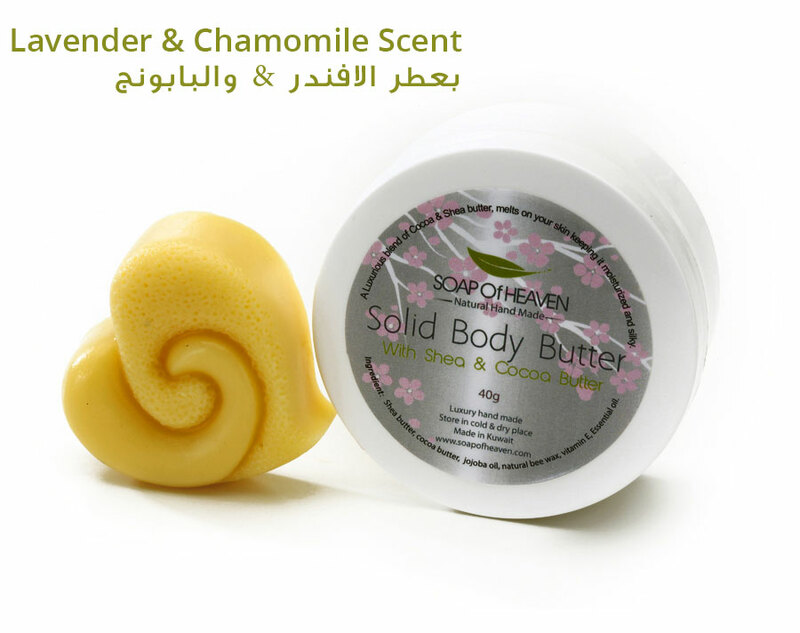 Our Solid butter is a rich and creamy blend of pure cocoa & Shea butters and jojoba oil. 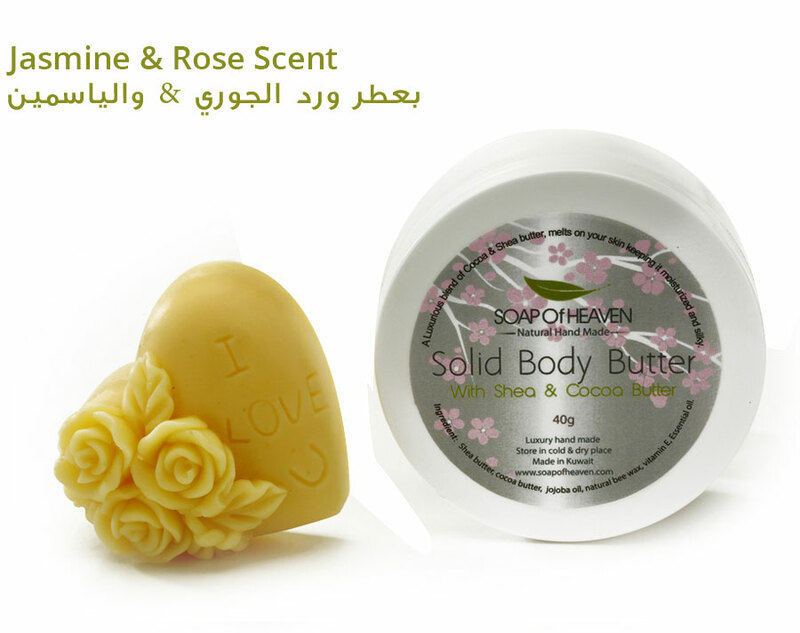 This product moisturizes, soothes and hydrates the skin leaving it soft and healthy. Net weight 40 grams available in different 3 scents. 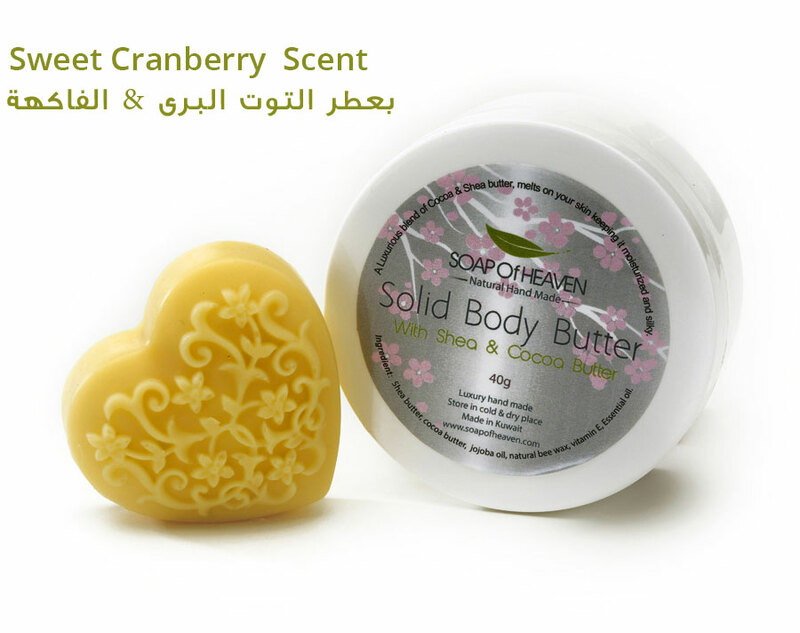 Shea butter – cocoa butter – jojoba oil – vitamin E.